AutoCheck Certified Accident Free! 4 Wheel Drive! 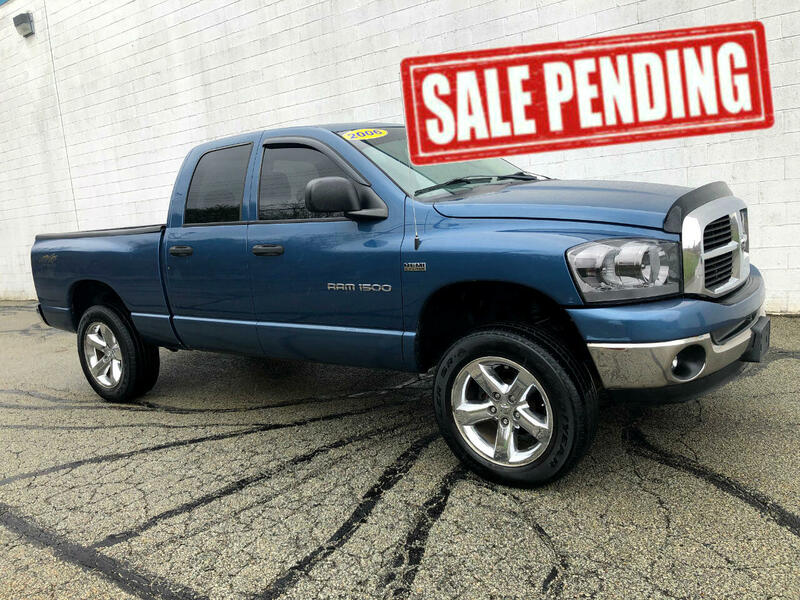 Atlantic Blue Pearlcoat 2006 Dodge Ram 1500 SLT 4WD 5-Speed Automatic HEMI 5.7L V8 Multi Displacement HEMI 5.7L V8 Multi Displacement, 4WD. Power Group! Premium Alloy Wheels! WARRANTY INCLUDED! Extended warranties available! Give us a call today at Choice Auto Sales for your personal showing and test drive!